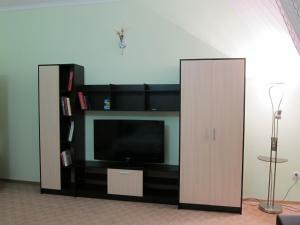 A-HOTEL.com - Luxury and cheap accommodation in Gay-Kodzor, Russia. 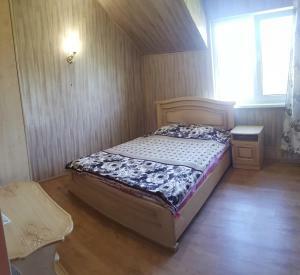 Prices and hotel, apartment booking in Gay-Kodzor and surrounding. Featuring garden views, Коттедж в п.Джемете provides accommodation with a balcony, around 13 km from Krasnaya Ploshhad Shopping Centre. Близнецы is set in Su-Psekh and features an outdoor swimming pool. 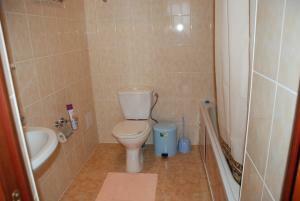 All rooms boast a kitchen and a private bathroom. Set in Su-Psekh, Guest House in Anapa features barbecue facilities and garden. Boasting free shuttle service, this property also provides guests with a terrace. Boasting a terrace, Hotel ZET offers rooms in Anapa, 6 km from Krasnaya Ploshhad Shopping Centre. All rooms feature a flat-screen TV with satellite channels and a private bathroom. Set in Anapa, just 4.4 km from Krasnaya Ploshhad Shopping Centre, Holiday Home on Prospekt Kosmonavta Volkova features accommodation with free WiFi. Located in Su-Psekh, Guest House on Gagarina 135 features barbecue facilities, garden and shared lounge. Staff on site can arrange airport transfers. Offering a barbecue and views of the mountain, Guest House Roditelski Ochag is set in Anapa in the Krasnodar Region, 35 km from Novorossiysk and within a 15-minute drive from pebble beaches of Sukko and Bolshoy Utrish. Free WiFi is featured and free private parking is available on site. Set in Anapskaya, Загородный дом "На набережной" под ключ provides accommodation with a private pool, private parking and free WiFi. This country house features air-conditioned accommodation with a balcony. Located in Sukko, Guest House Raiskiy Ugolok features barbecue facilities and garden. Boasting free shuttle service, this property also provides guests with a children's playground. Located in Sukko, Tsvietushchii sad features barbecue facilities and free WiFi. With a garden, the property also has a terrace. Situated in Anapa, 6 km from Krasnaya Ploshhad Shopping Centre, Guest House Maxim has barbecue facilities and a garden, as well as free WiFi. All rooms feature a kitchen and a private bathroom. Situated in Sukko, Holiday Home Klenovaya 7 features accommodation with access to a garden. Some units also have a kitchenette equipped with a fridge. Offering a terrace and views of the city, Viking Guest House is located in Su-Psekh in the Krasnodar Krai Region, 2 km from Anapa. Each room at this guest house is air conditioned and is fitted with a flat-screen TV. Situated in Sukko, Individual Home features barbecue facilities. Boasting a shared kitchen, this property also provides guests with a terrace. Offering a restaurant, Guest house Panorama is located in Sukko, a 15-minute walk from Black Sea beach. Rooms here will provide you with a flat-screen TV and air conditioning. Located in Sukko, Guest House Vizit has a seasonal outdoor swimming pool and BBQ facilities. Among the various facilities are a garden and a terrace. Featuring barbecue facilities, Guest House V dolinie roz is located in Sukko. Among the various facilities are a garden and a terrace. Featuring air-conditioned accommodation with a private pool, Apartment Sukko is situated in Sukko. The apartment features mountain views and is 17 km from Anapa. Located in a calm setting in Sukko, Guest House Shervud features an outdoor pool and terrace. Each room will provide you with Italian furniture, a TV, air conditioning and a private bathroom with shower. Located in Anapskaya in the Krasnodar Krai region, Частный дом с территорией features a garden. This holiday home offers free shuttle service and free WiFi.